Skirts and Scuffs' new weekly feature continues, recapping all the hot topics from our sport in the past week. We'll keep you informed about what's going on in NASCAR, so if you missed anything, don’t worry – we have you covered. As always, your comments are welcome on our Facebook page. So, ladies and gentlemen, start your opinions! 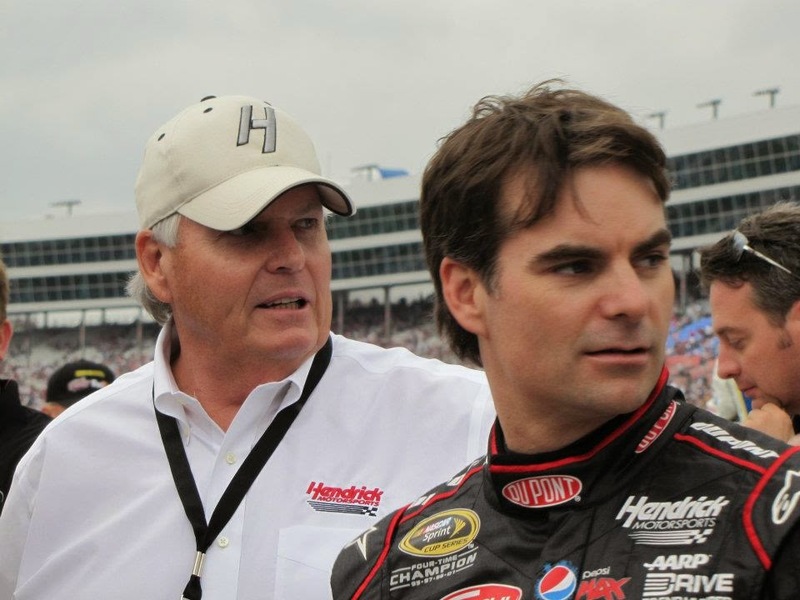 This week Jeff Gordon announced that 2015 will be his last full-time season in NASCAR. Gordon is a three-time Daytona 500 winner, five-time Brickyard 400 winner and a three-time champion of the NASCAR Sprint All-Star Race. With four championships, 92 career Cup victories and 77 poles -- all without missing a race -- his career is impressive to say the least. Starting this season, NASCAR will use 45 cameras positioned on the grandstand side of the track, across from pit road. Each camera will focus on two pit stalls, watching each pit stop. In the past NASCAR had 24 officials monitoring pit road to watch for missing lug nuts and prevent loose tires from escaping onto pit road. Now 10 officials will roam pit road throughout the race, but without going over the wall. In the new system, eight NASCAR officials watch pit road from a central locale. As pit stops occur, the system detects possible penalties by highlighting then on a computer screen for review. However, NASCAR will still have the ability to overrule potential infractions. According to NASCAR, the new tracking system was tested during races at the end of the 2014 season. After his first phenomenal win at Chili Bowl Nationals on Saturday night, HScott Motorsports with Justin Marks announced that Abreu will drive for them in the K&N Pro Series East in 2015. His asphalt debut came Saturday night at New Smyrna (Fla) in the Pete Orr Memorial Super Late Model event. After a 23rd-place start, Abreu made it into the top 10 before a mechanical issue took him out of the race. Disqualifications of two of his HScott teammates moved him up from 15th to 13th. Though it has not yet been confirmed, Abreu is scheduled to race about 110-120 races in the 2015 season, 14 of those in his new K&N ride. Stewart confirmed he will retain his pit crew from the end of the 2014 season. In an effort to help teammate Kevin Harvick in his championship quest, Stewart Haas Racing made the crew swap between the No. 4 and No. 14 after Harvick stated his displeasure with his existing crew last season. Stewart said he'll miss his original guys, but is comfortable with the new team as well. On Wednesday, NASCAR, NASCAR Team Properties and e-retailer Fanatics, the company that runs NASCAR's online store, announced a 10-year agreement to sell at-track merchandise in 2015, making the souvenir haulers a thing of the past. Instead, fans will walk in and out of merchandise tents, set up like a mini-mall. When the announcement surfaced, fans on social media went crazy, many stating their displeasure with the decision. Although NASCAR says that the new partnership will provide a broader selection of driver merchandise, especially for women and children, walking among the haulers has been a time-honored tradition for race-goers. To see it disappear in 2015 will be a change that may not be universally embraced. There's a lot of interesting info here! I'm very grateful for the post! We are the best packers and movers known for our dedication and nature of administration we offer to our clients. At tourtraveltourism.com you can do chardham yatra from any of the city in India. We have detail about all of the cities. You can select from which city you want to do the Yatra. You can email us or you can just give a miss call to us 07351064829. Kamal cargo packers and movers in Thane are the best packers and movers in the region. We provide services like packing and moving, warehousing, loading -unloading, local shifting and corporate relocation.